I'm searching/waiting for additional sources, it's also possible that the effect doesn't show due to compatibility issues, but as is well-known, especially in Silent Hill 2 many graphical features were missing or incomplete on PC. Reply to "Missing post-processing effects"
I just logged the FOV changer with process monitor. I think I understand what flags this on most AV software. sh4w1 is just a package for H@tKeysH@@k.DLL, nircmd.exe, sh4wide1.exe, t15717.bat and t15727.exe. The first of these is a dll for keyloggers. It seems it's only loaded by these executables though, given I opened other processes and none touched it. The whole thing is quite unorthodox since even after patching (silent hill 4.exe was genuinely sought) it remains in Windows's System32/SysWOW64 folder. Then there's a second file marked as harmful which should be the actual "loader" of the aforementioned dll. All of this is possibly legit (ie make some kind of sense) since in the bat file you can read a key stroke is passed (albeit for no clear reason). %MYFILES%\nircmd.exe exec show "SILENT HILL 4.exe"
%MYFILES%\nircmd.exe waitprocess "SILENT HILL 4.exe"
The mystery is even crappier if you think that "t15727" is a 15 byte file with only (I said it) 15 bytes: RCHELICOPTERFTW. Which seems the mark of a "bat to exe" converter. brainDEAD1986 (its creator) being also a somewhat popular russian repacker of games also does not add to his reputation. I don't own the game, but Garret doesn't seem to have had anything to report. Any clue why these are values 0.75 and 0.58? Any calculator or algorithm for it? Might've been some weird hack the original developers made. I honestly don't understand, you won't know until you test some other values in the game. No. I wrote my FOV Calculator based partially on that. This is not it. Oddly enough - lower number seems to give a higher FOV. Where near 0 values seem to be ~180 and near 0.5 near ~90, 1 - ~10. 2nd value seems to be responsible for aspect ratio. That seems like a really half assed system. Who knows what hacks they had to do for the engine to work on the PS2. I know memory was constantly an issue. Edit: It's not actually half assed, my bad, it makes perfect sense http://i.imgur.com/VJNRFgG.png However wouldn't they need (-1,0) too? Can you actually use Pi as a value? 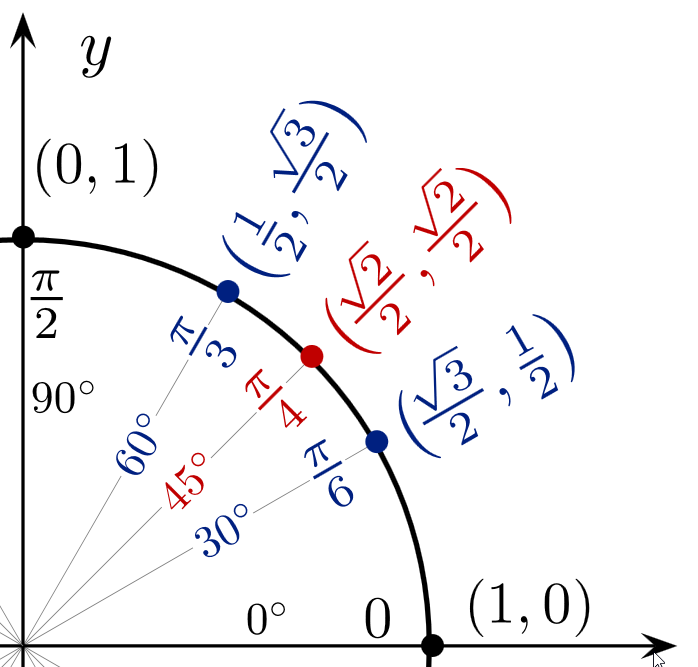 I am incredibly tired right now, and I can't believe how rusty my trigonometry skills are, it almost makes me feel ashamed. Anyway they probably use a formula to calculate the final FOV. I seriously need to shape up my math skills again, I haven't had some practice in who knows how long. Yeah.... I should technically not have any problems with that, studying computer science... but it's the way it is. I tried sh4resolution.7z at WSGF but it did NOT work at all. 2. If it doesn't work with administrator rights - do the other CheatEngine addressees work? I'm gonna add an option for alternative addressees (just in case) and split FOV and Aspect Ratio to one group, and Resolution into other, so it won't be forcing a new resolution. But that will be tomorrow. And then, I'll host it on PCGW. Reply to "WS fix reliability"